Microsoft is reported to have closed an $8.5 billion all-cash deal for the Internet voice and video calling service Skype. The Wall Street Journal says to have confirmed the news after GigaOm first reported it yesterday, and Redmond is expected to make it official in an announcement this morning. This would be the company's largest acquisition yet, ahead of the $6 billion it paid for online advertising company Aquantive in 2007. It remains to be seen if the next phase of Skype's life as part of Microsoft proves a better fit than its former owner. Some suggest the service could be integrated into consumer products such as the Xbox 360 and Kinect, or into Microsoft's flagship Office suite and other enterprise offerings to compete against Cisco and Google. 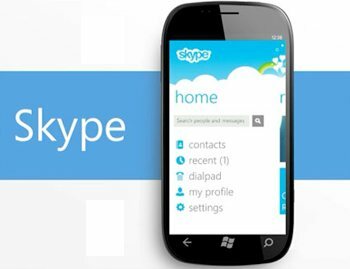 However, most agree that the biggest reason for Microsoft to buy Skype is Windows Phone 7. The software giant would benefit from a competitive alternative against Google Talk with video and voice chat on Android as well as Apple's FaceTime. It also gives them a chance of working with carriers as they transition to LTE-based networks and are finally more open to routing their voice traffic through applications like Skype. As reported earlier Google and Facebook had also shown interest in either partnering with Skype or buying the company. Given that the former already has a voice service in place it would seem that Facebook is the sore loser in this battle, but it might actually reap some benefits without having to plunk down the cash. After all, Microsoft is an investor in Facebook, and the social network already has a previous arrangement with Skype on which it can build upon.